BATON ROUGE — SENATOR — AND CATTLE RANCHER — BETH MIZELL will talk about her first session in the Louisiana Legislature and some of her important legislative victories at 12 noon this Tuesday, May 24 at Café Américain, 7521 Jefferson Highway. The meeting is sponsored by the Chamber of Commerce of East Baton Rouge Parish. Sen. Mizell, the mother of two and grandmother of six, raises beef cattle on her 90-acre farm west of Franklinton. She is a widow who was married to her husband 42 years before he died of cancer. 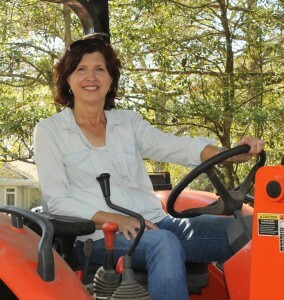 A native of Bogalusa, she has 31 years’ business experience, 14 years as owner of a pre-school called The Children’s Cottage and 17 years as a cattle rancher. She worked for 14 years with Sylvan Learning Centers, which specializes in tutoring, Science, Technology, Engineering, and Math (STEM) education, and college preparatory work. She is former chairman of the Republican Party of Washington Parish and a former delegate to the Republican National Convention. She is a member of the First Baptist Church of Franklinton and the Louisiana Cattlemen’s Association. Sen. Mizell was elected to the Senate representing Washington, St. Tammany, and Tangipahoa parishes last fall, receiving 58 percent of the vote against her Democratic opponent. The turnout in her district was 46.6 percent — six points higher than the turnout in the governor’s race. Come out and meet this extraordinary lady, a conservative Republican who is making a real difference at the State Capitol. Tuesday’s meeting is open to members of the general public as well as members of the Chamber of Commerce of East Baton Rouge, guests, and the media. Lunch is $17.50 payable to the restaurant. Lunch is complimentary for members of the working media. For information on the meeting or the Chamber EBR, go to www.ChamberEBR.com or email Chamber EBR president Woody Jenkins at woodyjenkins@hotmail.com.